Corrupted, yet believe in it! How come?! Muslims believe in the “original” Gospel, as well as the “original” Bible as a whole, including the “original” Torah as well. At the same time, Muslims also believe that the Bible, including the Gospel and the Torah, is no longer pure and authentic as it was sent down from God, and accordingly, they are not valid anymore. But let’s take a step back and ask another question. 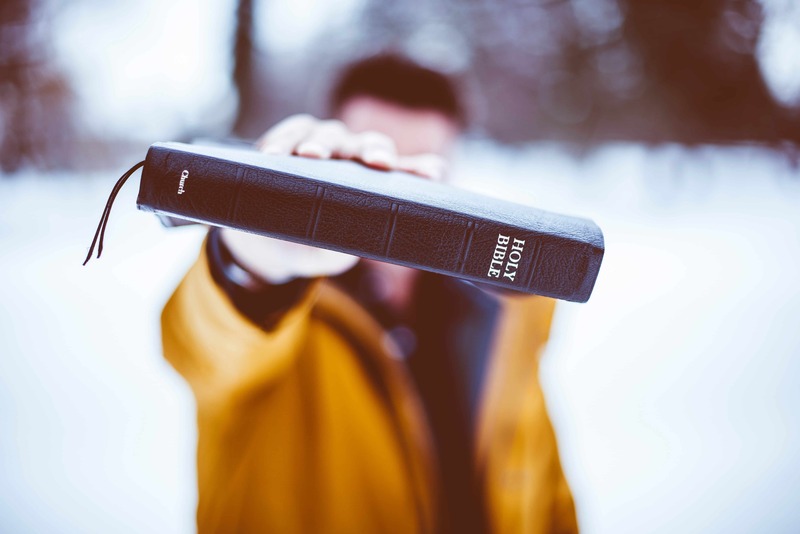 Why is the Bible distorted and falsified? Why didn’t God preserve it pure and authentic? Why did He allow it to be exposed to falsification while He was capable of keeping His revelations pure? First of all, the Bible in general (Torah and Gospel) was not meant to be sent to all people, it was only sent to a certain group of people at a certain time. It was sent to the Children of Israel, exactly as Prophets Moses and Jesus (peace be upon them) were sent to the Children of Israel, and thus, they are called, among others, “Prophets of the Children of Israel”, which means the Prophets who were sent to the Children of Israel. Many Messengers were sent to the Children of Israel, and the last of them was Prophet Jesus (peace be upon him). But they were always following their own desires. Every time a Messenger came to them with what their souls did not desire, they were arrogant, and a party of the Messengers they denied, and another party they killed. They also did the same with the Divine scriptures sent to them. When Prophet Moses (peace be upon him) came to them with the Torah from God, they started to distort words from their proper usages and they used to conceal much of the scriptures. They kept on doing so until God sent to them Prophet Jesus with the Gospel to continue the message. This was the habit of the Children of Israel in dealing with the Messengers of God and the Divine messages. Thus, a book after a book was sent to them to remind them of what they forgot or to show what they distorted and concealed. Not to mention that the Gospel, for example, was written way after Prophet Jesus, which of course deepens the possibility of the falsification and alteration. Accordingly, since the Bible was sent to the Children of Israel and only to the people at its time, not to all mankind, and since there was always a Prophet after Prophet and a book after book sent to them, let’s say that there was no need or necessity to keep these books pure and authentic beyond the time for which they were needed. They were only needed for a certain group of people at a certain time, not for every time and place, with legislations that were suitable only to that time, not to other times. Confirming that which preceded it of the Scripture and as a criterion over it. Guidance and good tidings for the believers. Valid to every time and place. “Indeed, it is We who sent down the Qur’an and indeed, We will be its guardian.” [quran.com/15/9]. We will never find such a promise in or about any Holy book except only the Holy Qur’an. To conclude, we can say that there is no problem in quoting from the texts of the people of the Book that do not contradict with Islam and what came in it, without affirming ratification or denial. In this short video, Dr Zakir Naik briefly solves the puzzle. Have an enjoyable watching!